Fees associated with filing patent applications in Switzerland as well as other patent fees are available in the fee calculator. Term for filing the patent application in Switzerland claiming priority is 12 months from the priority date. - request to grant a Swiss patent. The official languages for patent registration in Switzerland are German, French and Italian. Translation into one of the official languages is required simultaneously with filing a patent application. A certified copy of a priority document in one of the official languages or in English should be submitted within 16 months of the earliest priority date. It is not usually required to submit a Power of Attorney. However, it may be requested by the Swiss Federal Institute of Intellectual Property (IPI). No request for conduction of a substantive examination is required. Before beginning of the substantive examination, the IPI sends an invoice for examination, where it indicates a time limit for payment of the prescribed fees. If the invention became available to the public within six months prior to the filing or priority date, this disclosure does not disprove the novelty of the invention in Switzerland. When the examination procedure is successfully completed, the IPI shall register the patent in the Swiss Patent Register. After registration, the IPI shall publish a patent specification for a patent granted. The date of publication is the date of the grant. No grant and publication fees are required. Renewal fees should be paid for each patent application or granted patent from the fourth year after the filing date. Renewal fees should be paid annually on the last day of the month in which the patent application was filed. Patents in Switzerland may be renewed within six months after the due date by paying the extra fees. To perform the patent prosecution in Switzerland, foreign persons should appoint an agent, a registered Swiss patent attorney. 2. 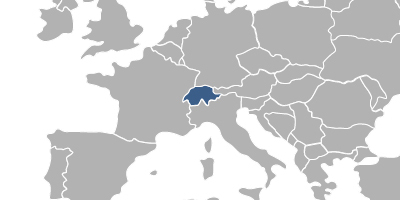 Swiss patent is automatically valid in Liechtenstein as the countries have the same patent regulations based on a bilateral treaty. 3. Patent protection in Switzerland may be obtained via EPO route without validation action. 4. Protection of the invention as a Utility Model is not possible in Switzerland.